Join fellow garden enthusiasts and book lovers as they discuss books about plants, nature, and the environment. 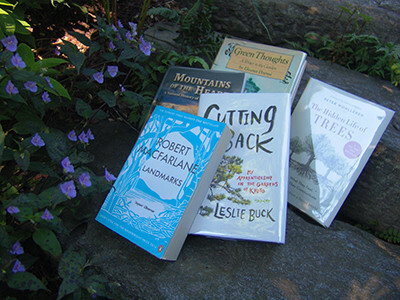 “Nature’s Narratives” is a book discussion group sponsored by the Scott Arboretum where readers come together to discuss a book once a month and share in the reading experience. In The Rambunctions Garden, Emma Marris presents a future that encompasses human-made landscapes that interact with wild ecosystems. The discussions are free and open to the public. Participants will need to read each month’s selection prior to the discussion. Books will not be supplied, but one copy of each is available in the Scott Horticultural Library for check-out and members of the Scott Arboretum enjoy lending privileges. Call to register 610-328-8025. Limited to 12.